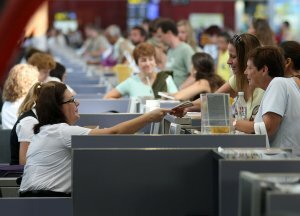 Low cost airlines have transported in the first nine months of the year a total of 3,918,374 passengers to Andalusia, which represents a decrease of 3.7% compared with the same period last year, while traditional companies moved 1,066,347 passengers, a 7.2% increase, according to the Institute of Tourism Studies. Analysing the destination airports, the airport of Malaga on the Costa del Sol encompasses 10.8% of total travellers of low cost carriers in Spain, with 3.1 million passengers, representing a decrease of 2.1%. Thus, Malaga airport is in third place in the list of airports in passenger numbers of low-cost airlines and holds the fourth position for traditional carriers. For markets, the UK and Germany lead the entries in low-cost carriers to Spain, with 36.1% and 19.5% of passengers who chose this option, respectively; unchanged for the UK market (10.6 million passengers) and with a slight decrease of 0.2 % for the German market (5.7 million passengers). Italy, the third largest emitter, decreased arrivals by 2.6% to 2.9 million travellers, equivalent to a 10.1% of total entries by this means of transportation. France followed with 6.1% of the total and 1.8 million passengers, a 15.8% more than a year ago.